Welcome to the PES Mastery Goal Keeping Tutorial. 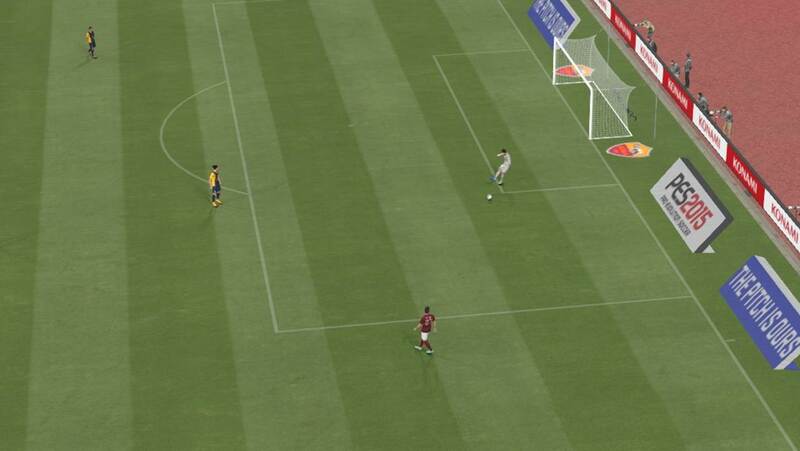 In this tutorial, we will be looking at the ways to reduce the amount of goals conceded to a minimum. We will also talk about launching attacks effectively from the back. A good goal keeper has high ratings in the following abilities. Jump – He can reach high balls easily. Goal Keeping – An indication that he is a good goal keeper. Saving – He has the ability to pull off good saves. A useful skill card is 16 GK Long Throw, which allows you to start attacks quickly by throwing the ball over a long distance. More on that later. Most of the time, goal keeping is left to the AI. We do not interfere with his positioning and movement. 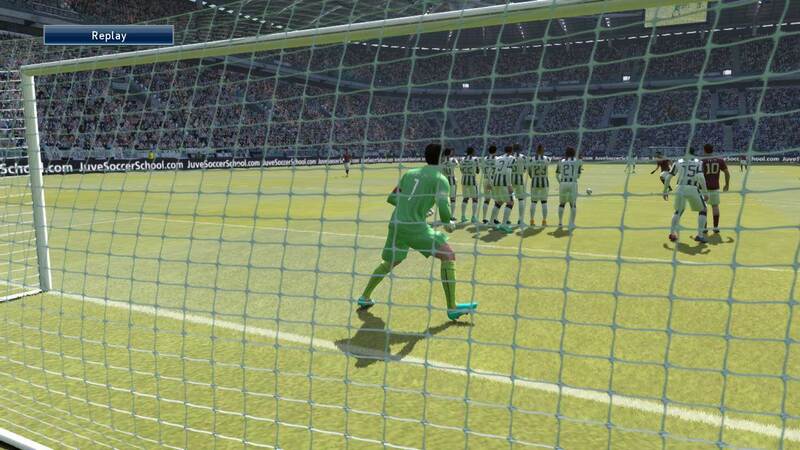 However, online opponents are experienced in beating AI-controlled goal keepers. To prevent that, you will have to control the goal keeper manually. When you are facing a 1-on-1 situation, leaving your goal keeper at the goal line makes it very easy for your opponent to score, as he has a wide angle to aim for. To decrease his chance, hold Triangle (PS3) / Y (XBOX) for your goal keeper to rush out of his line and challenge for the ball. If the ball is in the penalty box, he will attempt to go down on the ground and make a save. If the ball is outside of the penalty box, he will attempt a sliding tackle. Once he gets the ball, he will automatically clear the ball out, or send it forward. Sometimes, the opponent may send a hopeful ball forward for the striker to chase down. If the striker is still some distance away from the ball, send your goal keeper out and attempt to reach the ball before the striker. Depending on the position of the ball, he will grab it with his hands, or clear it forward. Activating the keeper rush is not a sure way of getting the ball, as experienced opponents may play the lob shot, round your keeper, or square it to an opponent. This is a risk you will have to take in such 1-on-1 situations. 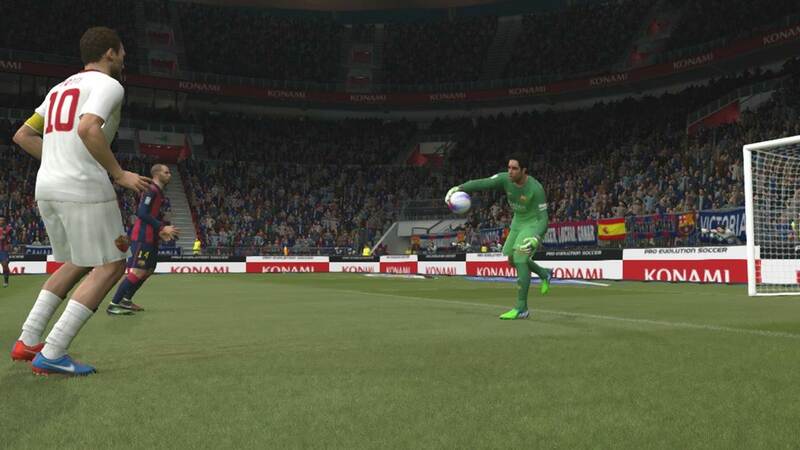 When your goal keeper has rushed out, keep the button held down till he has made the save or cleared the ball. 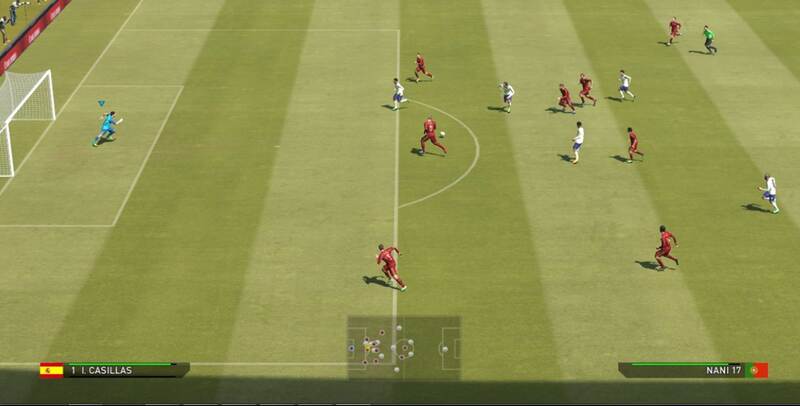 The keeper rush button simply makes the goal keeper run out in a straight line. 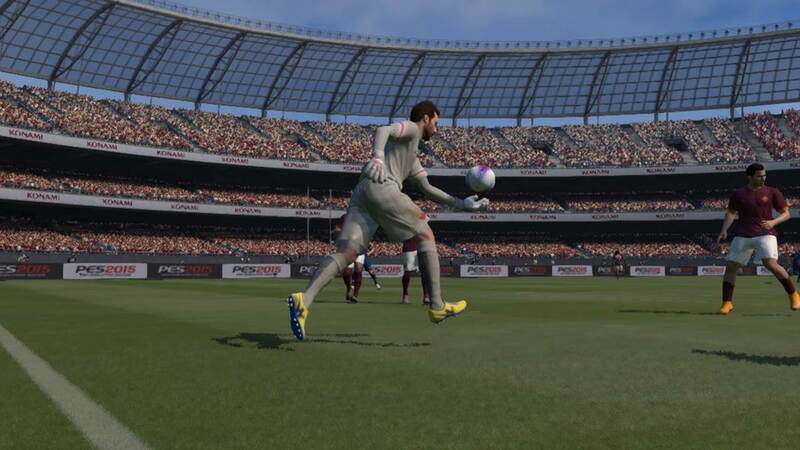 To gain more control over your goal keeper, hold L1 (PS3) / LB ( XBOX) and press down the Right Analog Stick button. Immediately, the cursor will be switched to your goal keeper. Move him around with your left analog stick to challenge for the ball, or to reposition him. 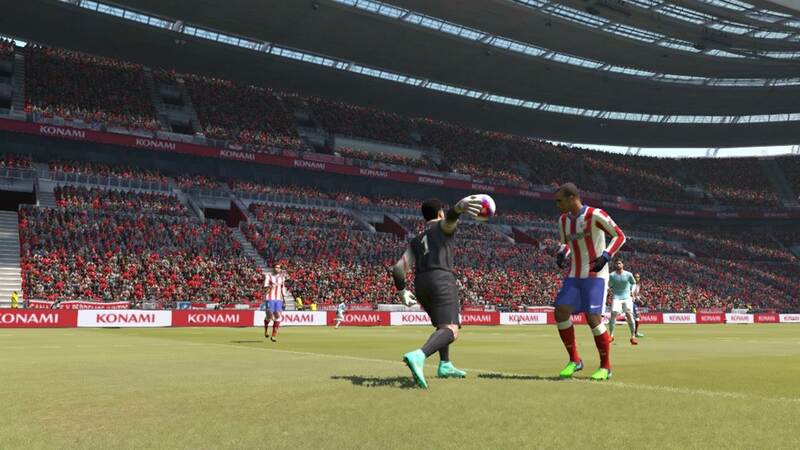 Hold L1/LB and press the right analog stick button to shift the cursor to the goal keeper and control him manually. 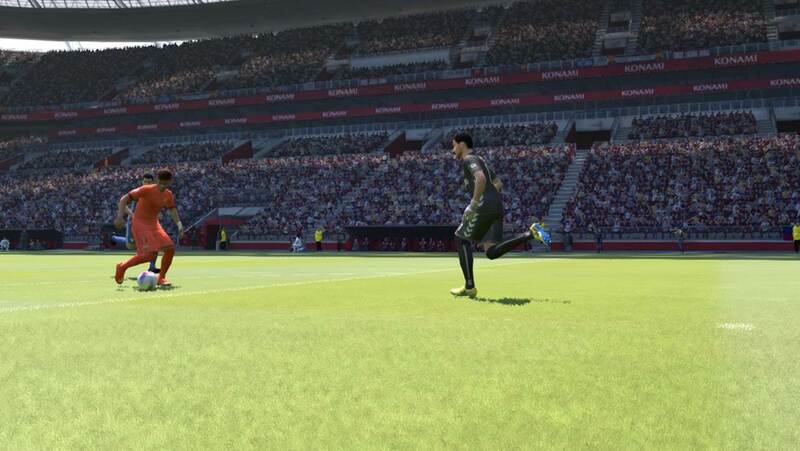 The lob shot is a favourite among online players too. To prevent this, use the manual goal keeper control to ensure he stays on his line, which is the ideal position to save the lobbed shot. 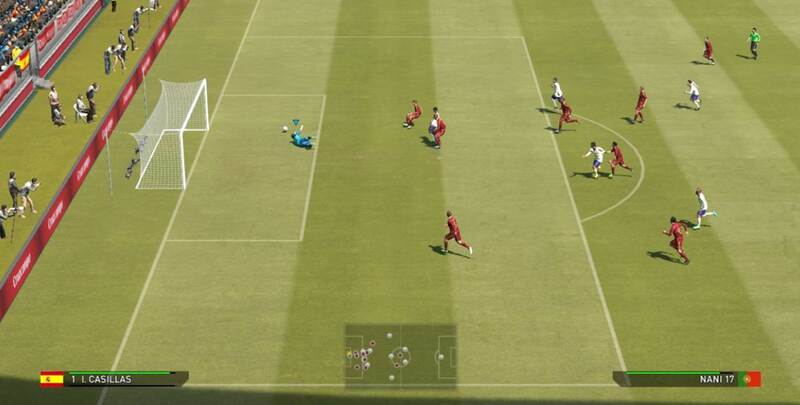 During free kicks, your goal keeper is automatically placed at the side of the goal not covered by the wall. The use of the free kick line has made it easier for players to aim for the unguarded part of the net. 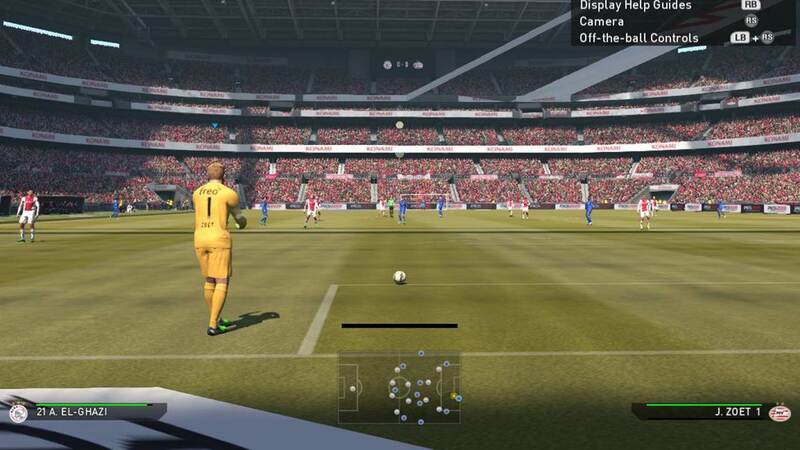 To prevent that, move your goal keeper slightly towards that side of the net by holding Triangle (PS3) / Y (XBOX) and using your left analog stick. For corner kicks, we are unable to adjust the position of the goal keeper. There is no real need to, as the main defending work is done by our defenders. You may like to refer to the PES Corner Kick tutorial for more information on defending corner kicks. The goal keeper is the last line of defence, as well as the first line of attack. Using him well allows you to restart play quickly and launch counter attacks. After your goal keeper has made a save, the ball will be in his hands. You can now restart the attack by playing a throw with the X (PS3) / A (XBOX) button, or kicking it upfield with the Circle (PS3) / B (XBOX) button. There is a power gauge involved, allowing you to determine the distance of your throw and kick. If you are playing a defensive, or a long ball game, you should ideally hold on to the ball until your players have regained their positions, before sending a long drop kick forward. Ideally, aim for your center forward, or your tallest attacker, as he has the highest chance of winning the header. Alternatively, look for an unmarked attackers, usually at the flanks. If you are playing a counter attacking game, attempt to send the ball forward immediately after you made the save, capitalising on the possibility that your opponents have not regain their positions. What I like to do is pass it short to my side backs, for them to launch the counter attack. If your goal keeper has the GK Long Throw skill card, you can attempt to send a long throw to your wingers as well. Avoid sending short throws or low-powered drop kicks down the middle. Most of your opponent are still in your half, and doing will may allow them to easily regain possession and launch another attack on you. As much as possible, restart attacks via the flanks. You can fake a throw or a drop kick by pressing X (PS3) / A (XBOX) while charging up the power bar. This won’t fake the AI opponent, but serves as a good way to cancel out a throw / kick if you have pressed the wrong button. It is also a fun way to tease your opponent. 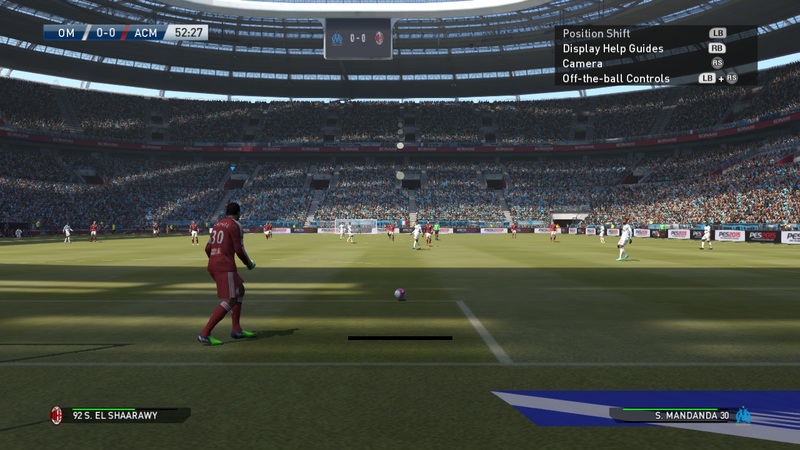 During goal kicks, adjust the positions of your teammates by tapping L1 (PS3) / LB (XBOX) to alternate between sending your players forward to receive a long kick, or calling your defenders back for a short pass. Use the Left Analog Stick to adjust the height of your kick, and the Right Analog Stick to determine the direction. Similar to drop kicks, aim for tall attackers, or unmarked teammates. Use the radar to spot teammates without any opponents close to them. As mentioned above, wingers are usually unmarked, making them perfect targets. Play a short pass by pressing X (PS3) / A (XBOX). This is useful if you prefer to gradually build up attacks from defence. Before sending a short pass, use the right analog stick to determine the direction, and ensure that there are no opponents near your intended target. If you are not careful, you may pass the ball directly to your opponent and allow them to score an easy goal. Alternate between long goal kicks and short passes to keep your opponent guessing. What I like to do is to send long goal kicks even when I have used the L1 / LB button to call my defenders back, and vice versa. This ensures there is unpredictability in my game play. 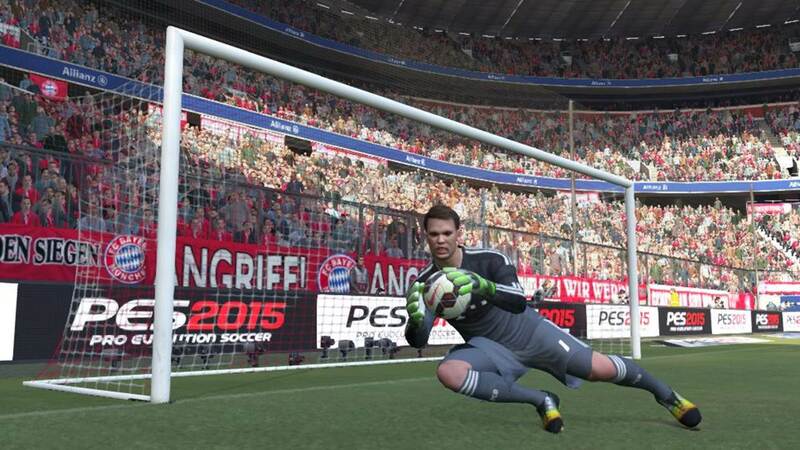 Although the goal keeper AI has improved in recent years, it is far from ideal. Manual intervention is required at times, and the techniques highlighted above will help you defend better against human opponents.